Kete is a large database of records: • topics • images (or photographs) • audio • videos • web links • documents. 3.4 Audio You can add digital audio files to Kete for such things as: • oral histories, • interviews, • stories, • music, • bird song. 3.5 Video Kete can also hold digital video files. These may be: • events, • interviews, • fun videos such as things you might put on YouTube. 3.6 Web Links You can put links to web pages or sites into Kete. This is useful for: • sites that forbid you to copy material from – check the Copyright statement! • or ones which you are unable to copy from (e.g. YouTube). • Linking allows you to combine material already in Kete in new ways. • You can link a topic to another topic. • or you can link items to a topic (e.g. you can link existing pictures, audio, documents and web links to a topic). • Many people are interested in researching their family history or genealogy. • We thought Kete could be used to publish such findings. • We experimented with the histories of two local families – the Burr family is the first one. • The second genealogy we experimented with is that of the Ransom family. • We took a different approach from that of the Amos Burr family (discussed in sheet 7.1). • Kete can be used to create pages like a photo album. • This allows you to share your photos with the world. • To record significant events, quirky moments and have fun. 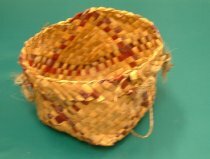 • Artists can use Kete to publish a portfolio of their work. Clubs can use Kete to distribute newsletters … The advantage of this include: • No photocopying costs. • No postage costs. • Members can use the Kete RSS feed facility to be advised of any updates. Kete provides users with a publishing forum. This can be used for: • creative writing, • historical essays, • republishing material which is no longer covered by Copyright.